Enjoying some sun at last! This week I discovered another wonderful new linky - a post where other blogs can join up and share what they have been doing this week - the linky is called Country kids from Coombe Mill the linky is all about getting children outside and encouraging them to learn and enjoy the outdoors. I don't know if you remember but one of my goals for this year was to get the boys out more no matter what the weather, they do love to be outside! The end of this week, the sunshine has been beautiful so we haven't done or been anywhere to extravagant but we did for the first time in ages go round to the local park - its not that big but still lots of room for Adam and Liam to run around and I love that the park is fenced in meaning I can relax a bit knowing that Adam isnt going to try to escape! The boys had a great time running, jumping and laughing - its lovely to see them not fighting, I took the pushchair with me "just in case" but Adam even managed to walk all the way there and all the way back holding mummy's hand, the threat of the pushchair was enough to keep him holding my hand! The boys were shattered once we had been to the park - I guess when I think about it we really haven't been doing much outside at all so one afternoon out has really worn them out! 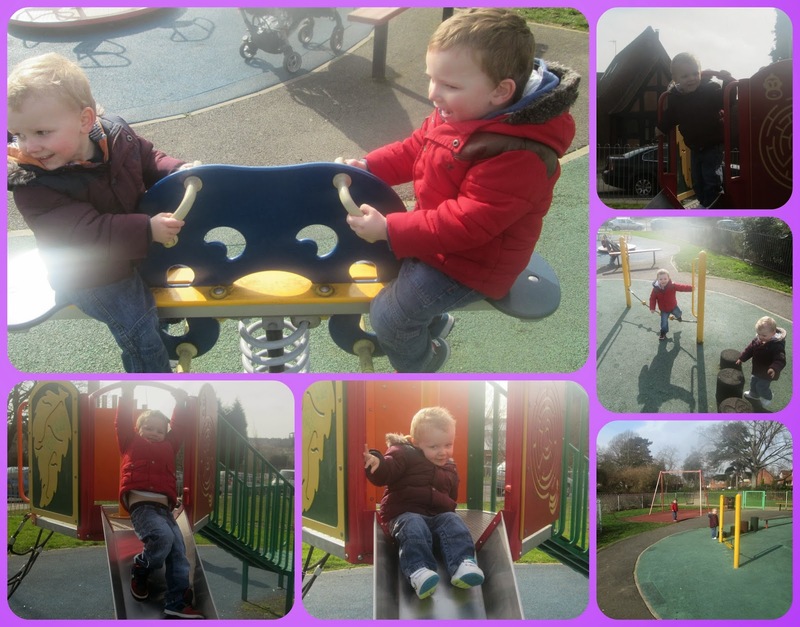 Tired, sleepy boys means time to relax for mummy, what have you been enjoying outside this week? You don't have to go far for some fun outdoors and it looks like you have a great park close by for the boys to burn off some energy and have great fun. Welcome and thanks for linking up and sharing with Country Kids.